A drop-down menu field that shows/hides some other custom profile fields depending on its selected value. The conditional profile field plugin is an advanced version of the dropdown menu profile field type in which you can decide to hide/show some other profile fields based on the value selected for this field. This allows you designing dynamic signup/profile pages. 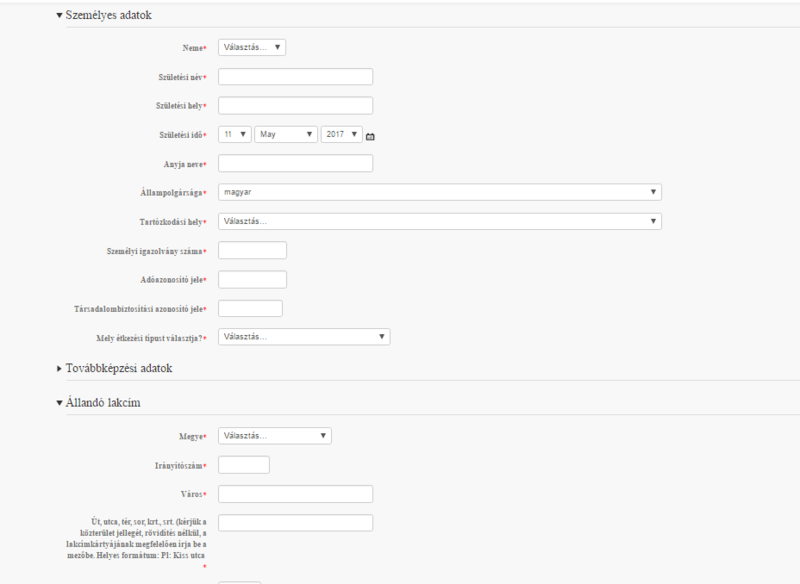 You can also set some other fields to be required based on the selected value for this field. Please file an issue at https://github.com/rezaies/moodle-profilefield_conditional/issues and provide as much details as possible so I can replicate your issue. Please mention your Moodle version and also mention type of the fields you are trying to depend to each other. Could you please tell me what is the problem here? You have not created any other profile fields before trying to create the conditional field. You need to have some profile fields so then you'd be able to hide some of them. Thanks for the answer, but I previously made a bunch of other custom profile fields (~50), so that can't be the problem. Please mention your Moodle version as well. La página no puede procesar esta solicitud ahora. I tried with a checkbox and the redirection is almost the same: /user/profile/index.php?id=0&action=editfield&datatype=checkbox". Please turn on debugging mode in 'Site Administration > Development > Debugging'. Set 'Debug messages' to 'DEVELOPER: extra Moodle debug messages for developers' and select the 'Display debug messages' checkbox. Then please try again to add a conditional field. You would see an error message with some useful information about the error. Please file an issue at https://github.com/rezaies/moodle-profilefield_conditional/issues and post debugging information there. I made it and the error message says: Fatal error: Can't use function return value in write context in /path/to/my/installation/user/profile/field/conditional/define.class.php on line 126. Also please confirm if you can add other profile field types (like checkbox) without any problem. I am looking forward to seeing your plugin available for moodle 3.5. Hi, lil help. How to add these custom fields to o365 User Field Mapping (Active Directory Field)? Hi. I'm having some problems with this plugin. I use LDAP authentication on my Moodle site and it doesn't work. Could anyone help me, please?